SINGAPORE (April 20): GIC and Mapletree Investments are going back to school. Singapore’s sovereign wealth fund and the city-state-based real estate investor helped fuel a record US$16.2 billion of student-housing acquisitions last year, and a further US$3.3 billion of deals were struck in the first quarter of 2017, according to Real Capital Analytics Inc. Student accommodation offers better returns than offices and residential housing, making it an attractive asset for pension and sovereign wealth funds looking for stable income and higher yields in a low-return world. 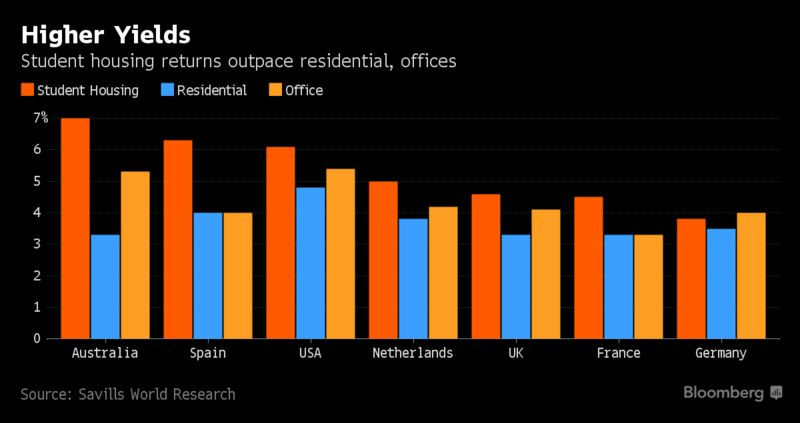 Asian investors are leading the charge, accounting for a record 21% of student-housing deals last year, up from just 1% in 2015, data from Real Capital showed. Singapore’s sovereign wealth fund last month partnered with Canada Pension Plan Investment Board and US real-estate operator Scion Group LLC to invest in a US$1.6 billion portfolio of student housing in the US, adding to the US$1.3 billion acquisition of University House Communities Group Inc. last year. GIC also partnered with Dubai-based GSA to invest in student accommodation in Germany and the UK last year. Singapore-based Mapletree Investments made its first foray into student accommodation in March 2016 when it acquired 25 properties in the UK It then added seven US properties in November, and is looking for more. 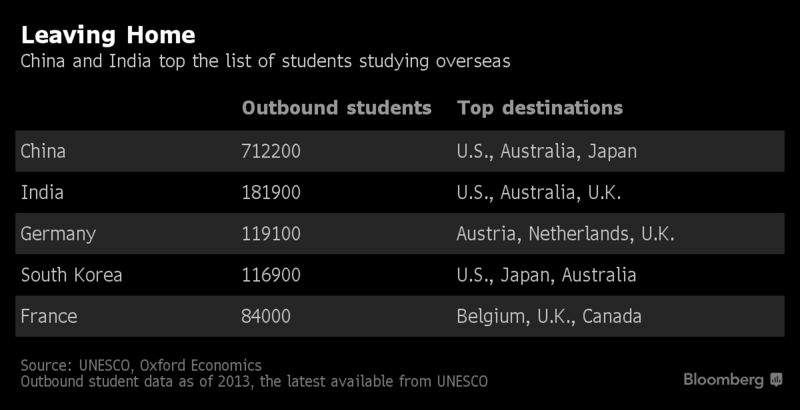 Adding to the appeal, demand for student housing is outstripping supply as university enrollments rise, led by Chinese and Indian students going abroad to study. Student accommodation has “proven to be relatively anti-cyclical in nature, with the pursuit of higher education growing worldwide, even during economic downturns,” Chua said. Mapletree’s Global Student Accommodation Private Trust, which last month raised US$535 million, has more than 14,000 beds across the UK and US. Provision rates, calculated by dividing the number of registered students by the number of spaces in purpose-built student housing, range from 24% in the UK to as little as 6% in Australia and Spain, according to Savills Plc. High land costs in major university cities are a barrier to new developments, as is competing demand for land from residential and office developers.